Thanks for publishing my photo, Inkline (@TheInkline). This photograph is one of the most viewed in my collection, as of this date, over 22,000 times. It seems to resonate that well. And it’s scientifically accurate to boot. By the way….the story by the Inkline and The Guardian which it references is inaccurate. Washington, DC is actually going first, as the first jurisdiction in the United States. Since Washington, DC is not a State (yet), their words are technically correct, but Oregon is not the first license issuing authority. First or second ultimately doesn’t matter. Both Oregon and Washington, DC are helping the world learn to love better. In writing this post, I checked my brand new insurance card, which is digital, not physical. At the time I took the photograph above (2013) I made a request to the team creating this innovation that gender marker not be included, and it’s not there. Success. There’s not relevant clinical need for a gender marker to be on an insurance card, especially in an integrated, technologically enabled top performing health system (guess which one). 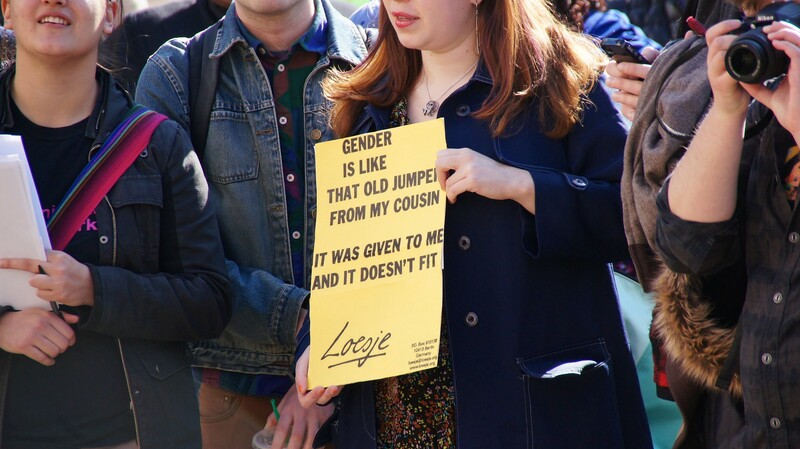 The new legislation is a major civil rights win for non-binary members of the state.